What’s the first thing you have to figure out when creating a nursery? The colors! 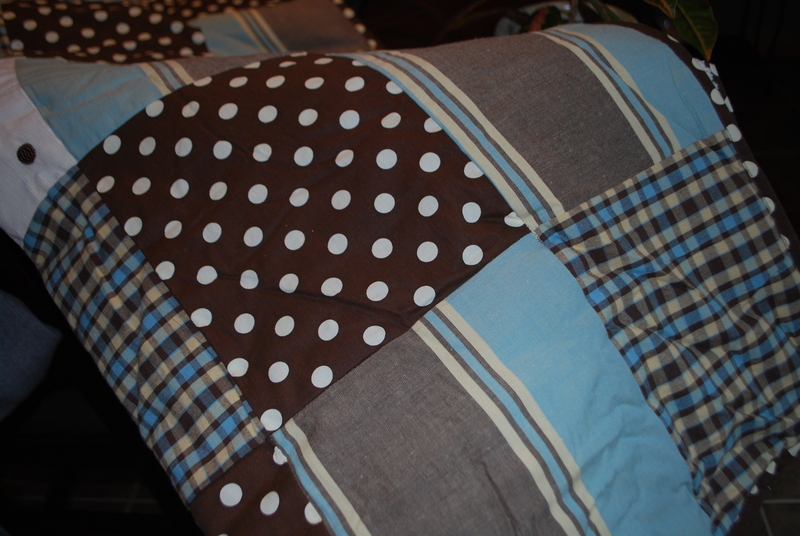 Many internet hours went into the search for the perfect bedding for Baby Boy Leger. Criteria was specific – something that doesn’t become obsolete when he’s not a baby anymore. Ok, so no cutesy little animals. Check. How about no animals in general. Done. How about sports themed? There’s not a whole lot left. How about no theme? Interesting…that would be something to grow into. I refined my search terms and got to work looking at stripes, shapes, and dots. I saved some into a ‘like’ pile and sought out the opinion of my partner. He helped whittle it down to two choices. From there I picked a gut choice based on the colors. This entry was posted in Nursery, Pregnancy and tagged Nursery, Pregnancy by Kyley Leger. Bookmark the permalink.